Hair transplant surgery result on client with frontal hairline restoration, filling from the front to the back over 3,000 hair grafts transplanted by Dr. Diep during 1 year follow up. To view this client in detail, please view the following Youtube link. I'm having this problem right now. I have been losing my hair for more than 5 years now and my hair is getting dry, coarse, hair line is receding from the temple area and overall i have lost significant amount of hair from the temple and crown. Can Viviscal Stop Hair Loss or Is it a Scam? Can Viviscal Stop Hair Loss and Regrow Hair? What do you think? Does anyone have any experience with Viviscal they are willing to share? I am very keen to hear your feedback. 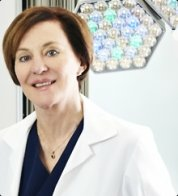 Martinick hair restoration uses the advanced and best techniques for hair transplant surgery. After using such advanced techniques you expect lifelong natural result. 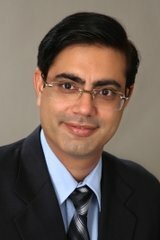 Hi Friends,I am 26 years male and facing a hair loss problem.I want to know major cause of hair loss and how to prevent hair loss.if anyone know please share with me.my friends recommend me some hair loss prevention spray called harvokse spray or pills.i want to know that anyone already use this kind of hair loss treatment products? FUE hair transplant surgery result on Asian man with frontal hair loss 1 year post op with before and after photos by Dr. Diep. This patient had around 1,500 hair grafts transplanted into the frontal, reinforcing the surrounding area, treating receding frontal hairline & receding corners, frontal balding. 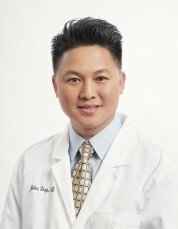 Dr. Diep specializes in the art of FUE hair transplant restoration surgery, inventing his own FUE technique called DFC or Diep FUE Curve technique to harvest straight or curly hair. Dr. Diep used DFC technique on this patient. The hair result is fantastic, very natural and dense. Does Vitamin D Hold the Key to Curing Hair Loss? A variety of research groups now believe the Vitamin D receptor (the protein receptor in the body where Vitamin D binds) is crucial in activating hair growth. But are results found in yet another laboratory mouse really enough for humans to raise their hopes? Read more at "Vitamin D: A New Potential Hair Loss Cure?" 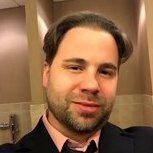 Thanks to Blake (Future_HT_Doc) for researching and publishing this article. Any thoughts on this? Caboki Hair Loss Concealer Breakthrough? I have to admit, this video makes Caboki Hair Loss Concealer look pretty impressive. Thoughts? Do you think we should offer it via our online hair loss treatment shop? At the age of 24 I experience this hair loss problem. I don't know what to do that time. I don't want to go out at our house because I am afraid that my friends will tease me. I search at google about a hair treatment that could really answer my hair problem. There is a hair loss treatment that I think is good and effective to use. So far it works and my hair is starting to grow. When it comes to taking care of our bodies we've found a way to combine good nutrition with diet in order to positively and profoundly impact our health. But when it comes to keeping our hair healthy and looking great, many of us are still missing the boat. In order to have the luxurious hair we've always dreamed of it is necessary to first understand what kind of hair we already have; that information can help us find the hair care product that best suits our needs so that we can have terrific hair before we know it! Do you have thick hair? Thin hair? Curly hair? Straight hair? Oily hair? Dry hair? Short hair? Long hair? You must first identify and define your hair before you can treat it properly. There are literally thousands of hair care product on the market today and sifting through them means first eliminating those that will not work. You have to stay true to your hair; buying a gel that's all the rage does little good if it has high alcohol content and you already have dry hair. Look for products that work with your hair rather than against it. But aside from acting as a first line of response for hair care treatment, a hair care product should make your hair look great. From gels and mousse, to relaxers and curl enhancers; everything you may have ever wanted to do to your hair can be achieved with the use of one or several products on the market today. You can always find a professional hair care product at high-end salons. And in some cases, your hair stylist may recommend that you use a specific product in order to correct some damage or enhance a particular style. Just keep in mind that the salon products are quite a bit more money than the product line in your local drug store. That being said, if the product makes a difference and helps you love your hair, it's worth every penny. Once you find the perfect hair care product for your hair and your lifestyle, use it consistently. You will soon find that you have finally gotten the hair you've always wanted.